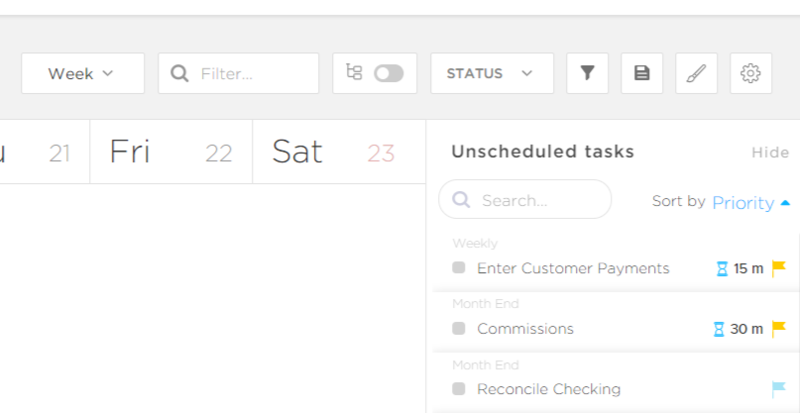 At the moment, when you choose Time View and choose All Spaces, you will get a long list of all the unscheduled tasks. Most of my projects have the same name for the tasks. so for me to see what project a task belongs to, i have to click on each task. It would be nice to have the ability to Sort by projects where all the tasks within a project are listed after a header of the projects name. Please be free to come up with other good solution on how to do this. I see this is marked as complete, but this is not working for me. I have the Project & List names turned on in Time View, but it is only showing me the list name, not the project name or the space name. Hey there everyone! 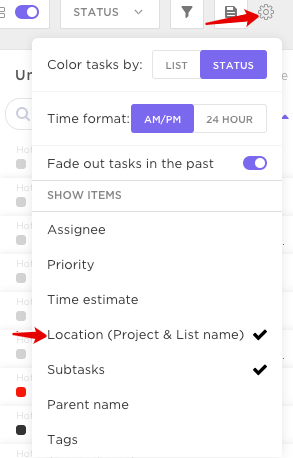 You can turn on the Project & List names for your tasks in time view in the Time View options. Check it out! Would love to have a tooltip pop up when hovering over a task in the time view while viewing all spaces, that way I can see the project name of the task and know which project it's referring to. (something like the screenshot) It'd save a click! Yes, this would help us as well. We use templates to generate projects, because we run similar studies in 21 different countries, so using the template is a great help to create these projects. However, when we look at the calendar for all the projects, we see multiple tasks with the same name, which is not helpful - though still preferable to not being able to use templates. But if we could have both, it would be fantastic! +1 here, this is a great idea! @Tor Rivera Completely agree. This would help imensely! We're a marketing agency, and have a similar issue with multiple concurrent branding, collateral, and website projects. The workaround I use is adding our client code (3 characters) as a prefix to each task. For example CKU-logo, WSP-brochure, etc. That tells me enough to distinguish the task without using a lot of space for the whole project ID. Possible for this suggestion to extend to the calendar integration (e.g GCal)? They sync ok but aren't showing any project / task / subtask detail. In the mean time I'm appending my own detailed reference on each task / subtask so I know what I'm dealing with in GCal when it syncs. Project, task, subtask flowthrough to calendar sync would solve that workaround though. Wonder if a time view update and sync enhancement (for shared calendars) would kill two birds with one stone for us? 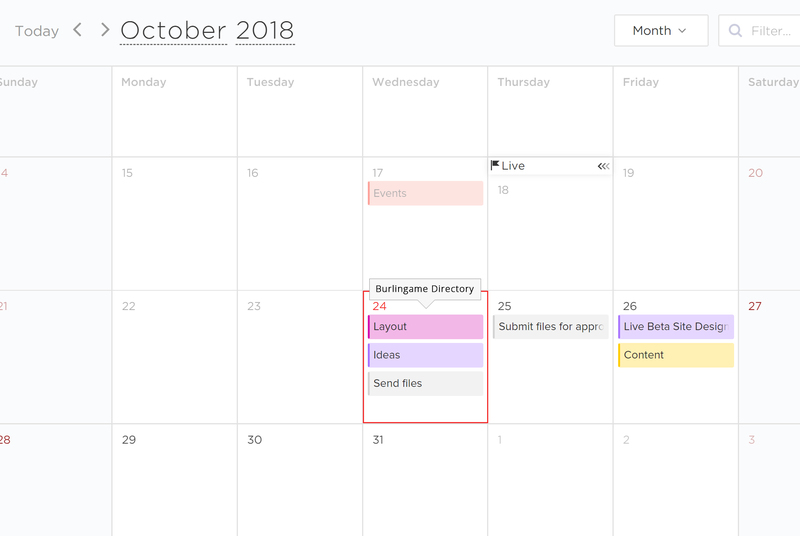 To be able to see all on going project as a whole with their sub tasks like this would be great especially in a time line view on a calendar or gantt chart. This would help a person like me see where I stand as a whole, for example if I have to move resources from one project to another or if i can push other things in other projects for say those wonderful unknown issue that arise.